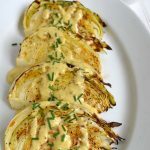 I have written long and lovingly about our vegetable garden, which when planted fully provides our produce all summer long and much of our winter produce through preserving. 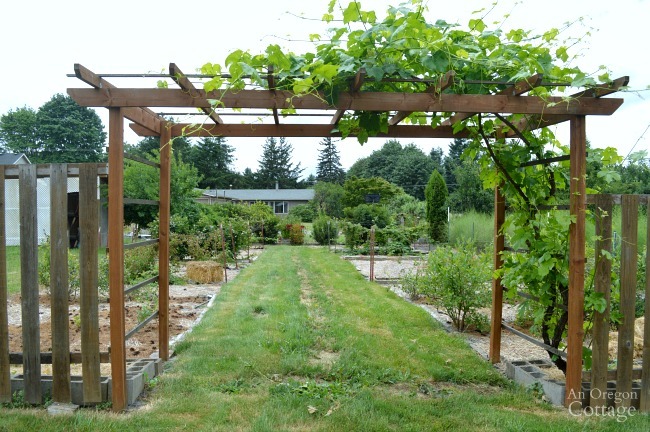 We added the pergola and planted a red ‘Flame’ Grape a few years ago and we LOVE the grapes from this variety, they are sweet, seedless, and plentiful. 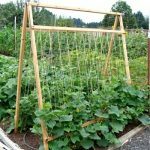 I’m a big advocate of raised beds that we don’t till – even larger beds that are only slightly raised get the no-till treatment from me and it enables us to grow corn, pole beans, pumpkins, and potatoes practically weed-free! In the photo above, the garden is not planted fully, as we’re looking to put our house up for sale (really!) 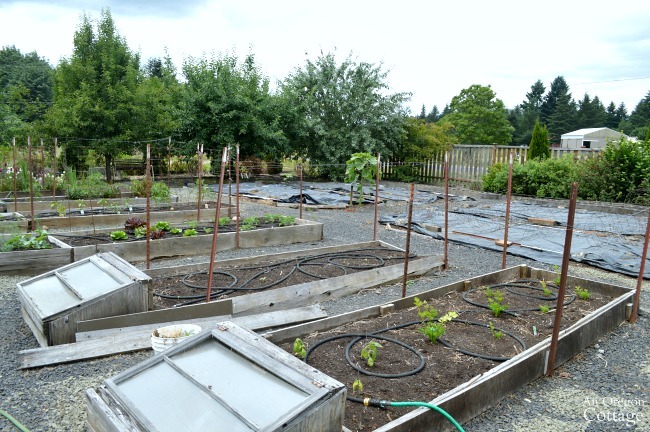 – click here to see our mid-July raised bed garden tour. Wondering about all the black plastic? It’s a key step in our easy-care, no-till planting method. In addition to the raised beds, the garden is bordered with dwarf Apple, Pear, and Italian Plum fruit trees (that I will always have to be able to make the best dried plums around! ), Black & Red Currants, Asparagus, Rhubarb, and a Strawberry bed. Our berry patch represents highs and lows in our edible garden. 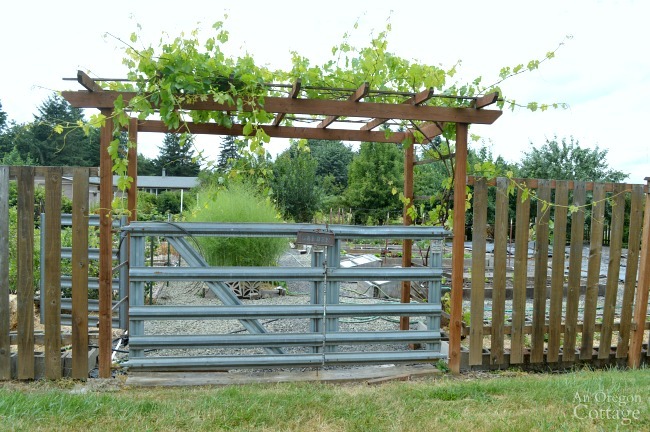 We love the grapes planted on this arbor as well – ‘Himrod’ green, seedless grapes that produce even more than our red variety. We get a lot of Blueberries from our bushes and the Marionberries produce prolifically, as well as an incredible Thornless Blackberry, ‘Triple Crown’ that we’ve only grown for a couple years, but it is amazing in both size and flavor. The lows? Raspberries just do not like it here. We’ve planted starts four different times and they always die after a year or two. The Boysenberries are disease-ridden and the two cement-block beds for Strawberries have been decimated by moles. Sigh. It all comes with gardening, right? Tip: this area is mulched with thick black plastic and straw – the only way we found to keep down the aggressive “pasture grass” and weeds here. We talked about it in this video. I’m including this view of our two main sheds to kind of give you an overview of the property – not just all the pretty beds. 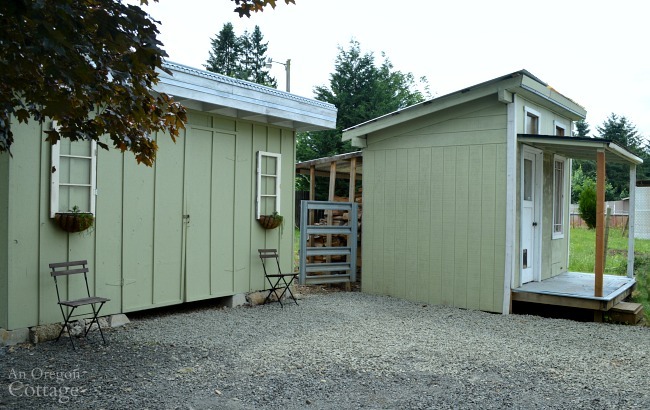 The shed to the right was an open-front sloped shed until we started finishing it to become a chicken coop. Sadly that took so long that our window for chickens passed as we looked to sell and now it is another storage shed. Since this area is seen from the windows at the back of our house, as well as the garden ‘rooms’ we did take the time to paint the sheds, gravel the area around them that connect to our other gravel paths, and recently give the main garden shed a sweet little makeover with Succulent baskets. You know those areas that you need for things like garbage and recycling, but are seen from all the areas of your yard? That’s the area you see above – it’s basically the covered walkway to our garage. To hide the bins we need there, we created a cover from lattice and wood, which I LOVE – just like the simple wood hose box you see in the right front. If you lay a good foundation, including the utility areas you need, the plants you love look that much better! This entire area used to be a huge wood deck. 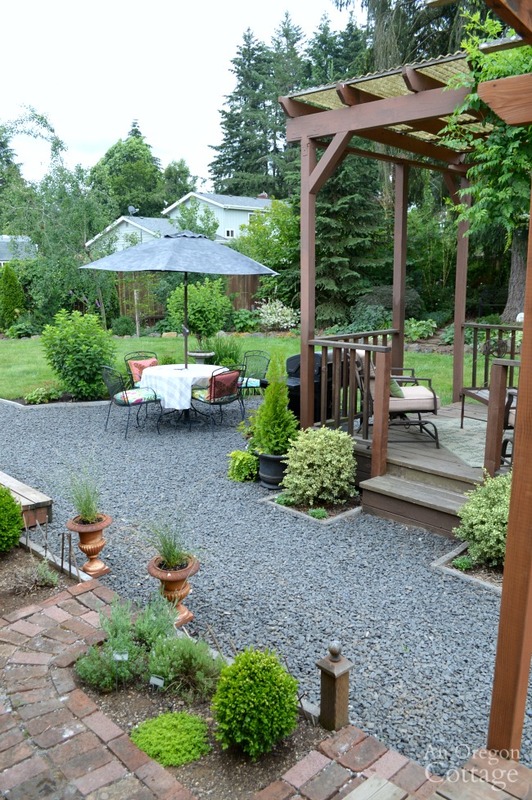 It was too high-maintenance and took up too much of the back yard, since I wanted outdoor ‘rooms’ that included sitting, dining, and the kitchen herb garden you see above. 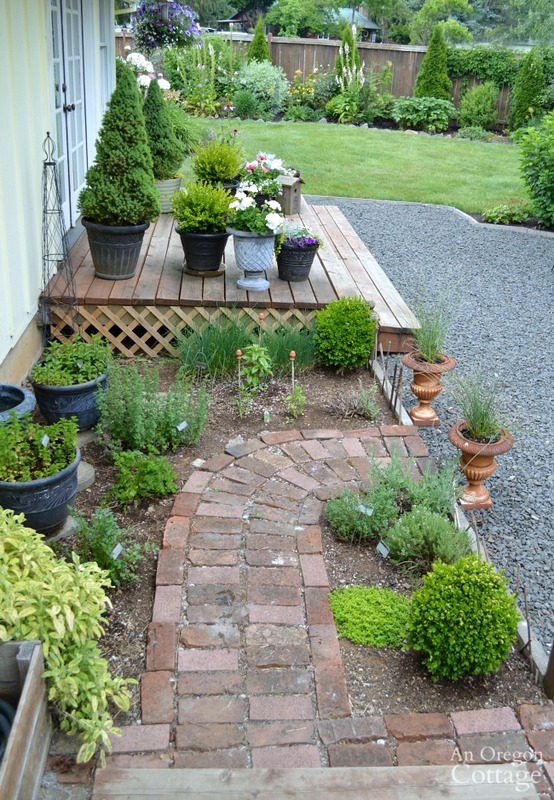 The herb garden is right out the back door – perfect for snipping herbs for meals and recipe photo shoots. We kept just a small deck from the French doors where I have our sun-loving flower planters. Here’s another view where you can see how the areas I’ve just shared, including the sheds, flow together connected by the gravel paths. This is the view from our master bedroom deck. 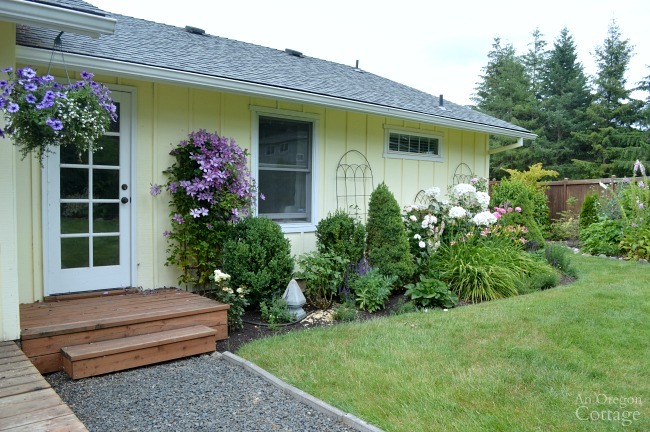 We created a master bedroom deck and garden when we added the French door to our bedroom. 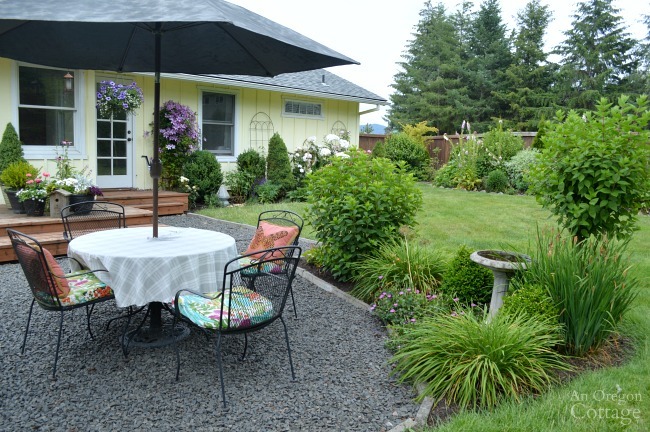 This is one of my favorite gardens, since it’s a classic cottage garden with Roses, Clematis, and Daylilies backed with Boxwoods and Dwarf Alberta Spruce and a few other perennials like Purple Sage. I find rose maintenance tedious, so this is a small enough bed that I can handle it. It’s also a bed that’s seen from our corner dining room window and from the kitchen, so it’s really enjoyed a lot. 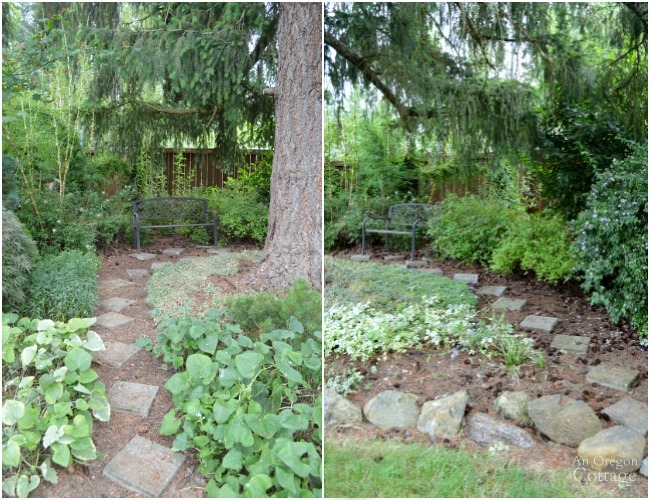 This dry shade garden under our gigantic backyard Fir tree is what is seen most from our back windows. The path and bench are mainly for show – it’s a great focal point, but not the most comfortable to relax on! 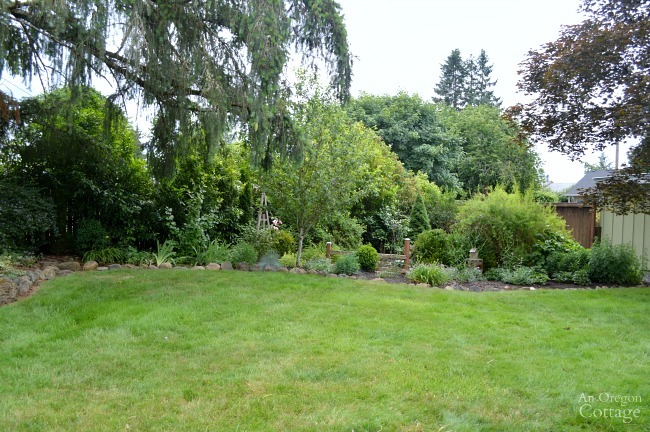 The rest of the back border includes more of the same of my favorite plants I’ve mentioned, plus Portuguese Laurel hedges for privacy, a flowering Crabapple tree, a Flowering Currant, Bridal Wreath Spirea, Weigela, Forsythia, and a few Blue Fescue plants. Notice the wooden posts in the bed? 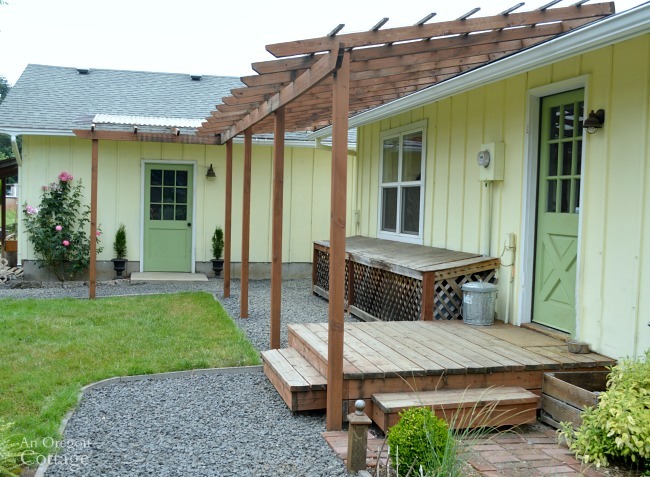 This small decorative fence and the plants in front of it hide our two green raised septic covers, which used to be the focal point of this part of the yard. Yuck. It was one of the things we figured a way to hide in the first few years we lived here. We made sure to create access to the area by continuing the gravel path to it, but otherwise you don’t know it’s there. Mission accomplished! This small patio bed brings me such joy – first because the birdbath is deep enough that it’s easy to keep full so many birds use it (lesson learned! ), and second from the plants that provide some bloom all season: Hydrangea ‘Little Lime,’ Pee Gee Hydrangea, Boxwoods, Daylilies ‘Stella D’Oro,’ Hardy Geraniums, and Japanese Iris. This is also the view we enjoy most while eating outside – the the view you might see if you were to join us! 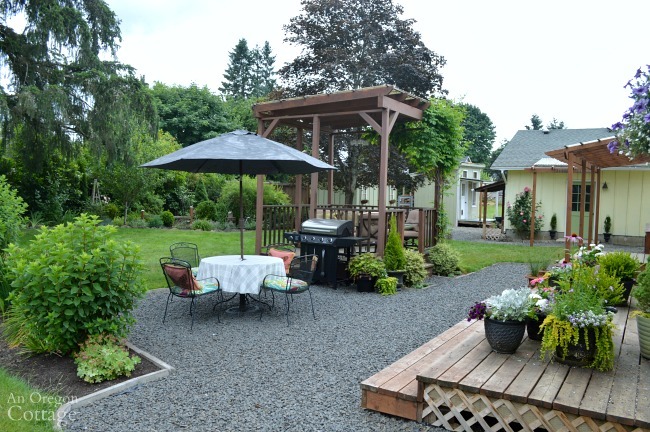 I hope you’ve enjoyed this yard and garden tour and that you’ve found some useful tips, ideas, and plants you may like to use in your own yards. 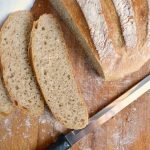 Never Miss A Garden, Recipe, or DIY update- CLICK HERE to sign up to be a part of AOC’s VIP email list and receive a free menus ebook!